Pace up growth of your business with Creative Digital marketing agency in India, India. We specialise in all areas of digital marketing and Web Solutions, so our clients benefit from a joined-up approach to their entire digital strategy. Our team of specialists consistently delivers outstanding search engine results combining creative ideas with our vast experience. We can help you build a sustainable, meaningful relationship with your clients by engaging them with your brand using social media. Creative has over 100 man working years of experience in providing professional web development services for clients worldwide. We work in areas as diverse as search engine optimization, social media marketing, email marketing and digital marketing. • Quality – We are committed to offering only the finest to our clients, to the best of our abilities. • Collaboration – We value your feedback and encourage two-way communication for the betterment of the campaign. • Consistency – We develop all our web strategies with long-term consistency and feasibility in mind to establish your brand’s credibility and longevity. • Flexibility – We customize our solutions to match your requirements and to deliver services that meet and exceed your expectations. Treat us as an extension of your business—your partner in all your online marketing ventures. We are 100% committed to the development of your company's online authority. Our satisfied clients, which are composed of both emerging and established companies, can vouch for the quality and efficiency of our services. We were established in Mumbai in 2003. We were established in Mumbai in 2003. By recruiting the best technicians and designers as we have grown, we have stayed at the cutting edge of our industry and at the top of our game. 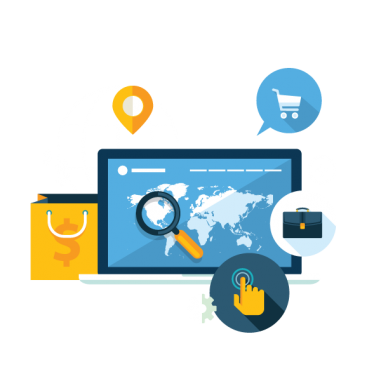 Whether on a Custom eCommerce project or digital marketing campaign, we work closely with each of our clients and build partnerships that breed success. We take pride in the relationships we have formed over the years, and relish each new one that we develop. As a Mumbai based SEO Agency and local consultancy firm we do have the most authentic search engine optimization skills and all our team members are ranking for some of the worlds toughest keywords. Are we really the India’s best SEO company in the world? yes we are you can test that, if you like to get Rank and Bank for your business. Digital Marketing is what we do every single day and search engine optimization is what fuels our strength. More that 70% of web users analyse only the first two pages of results of organic search engines. Thus it is crucial to secure the position of your website in search results first 2 pages. Creative Web Promotion is one of the leading SEO company in Mumbai. Our 99% customers have achieved No 1 rankings in Google for their contracted keywords. More than 300 clients from USA, Canada, UAE, Denmark, UK, Asia & India. Creative Web Promotion provides ethical, unmatched, quality White Hat SEO Services. Our clients speak for us. We have provided Search engine optimization (SEO) services to more than 300 clients from USA, Canada, UAE, Denmark, UK, Asia & India. Being in SEO industry since more than 12 years, our wide experience has laid effective SEO plans matching every business budget & requirements. And looking forward for Page rank 7. Google page rank is one of the important factors for a website to be listed in top positions in search engines. With new changes in Google algorithms, not all SEO agencies are able to achieve higher page ranks for their wesbites. This need strategic quality back links. Creative proudly announces that, we had touched Google Page rank 6 bench mark. And looking forward for Page rank 7.